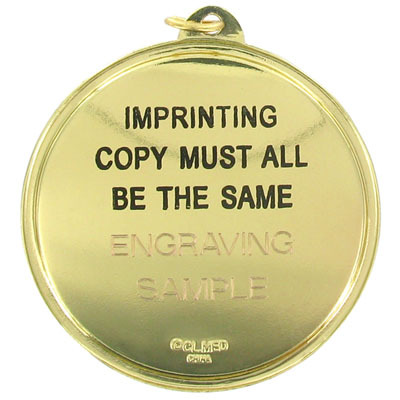 2-1/4 inch diameter medal frame takes 2 inch stamped medallion insert. 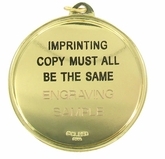 The medal can be imprinted on front and on the backside. The image shown is the finished product.